We focus on finding each individuals inner beauty. Yoga teachers will often refer to "your practice," which means your individual experience with yoga as it develops over time. Anyone can start a yoga practice, even if you don't feel like you are very flexible or very strong. These things will improve the longer you practice. Another great thing about every individual having their own unique "practice" is that it encourages the noncompetitive spirit of yoga. One of the most difficult, but ultimately most liberating things about yoga, is letting go of the ego and accepting that no one is better than anyone else. Everyone is just doing their best on any given day. 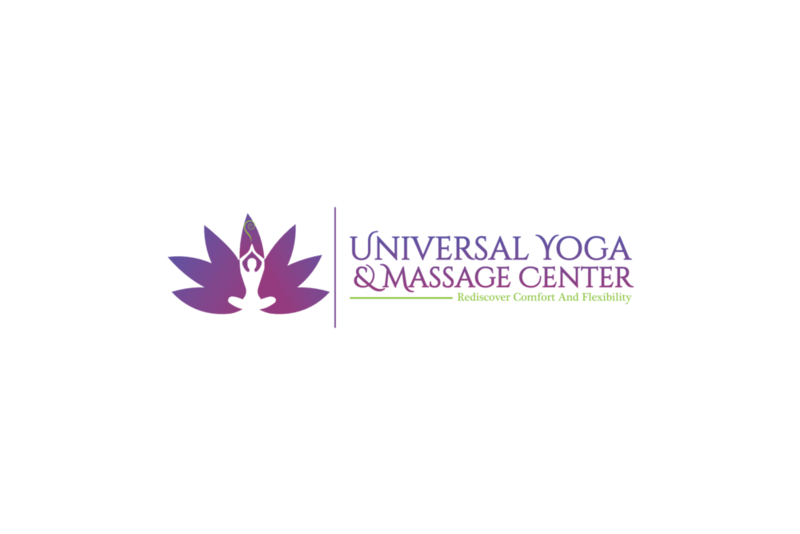 The amazing thing about yoga is that your practice is always evolving and changing, and at Universal Yoga and Massage Center we can't wait to share that experience with you. We know how uncomfortable it can be to start something new, which is why we offer so many classes that are created with beginners in mind and we always offer modifications. Yoga is an inclusive practice, meaning it is for absolutely everyone and we welcome your unique abilities. Everybody needs the benefits yoga can offer such as stress relief, pain relief, improved posture and flexibility, mindfulness, increased energy and muscular strength, improved focus and concentration, and so many more! To further meet the needs of your body, we also offer therapeutic Massage Therapy to relieve tight or sore muscles, rehabilitate an injury, alleviate pain, and promote relaxation to combat the effects of stress. We are here to help you with your pain relief and pain management. It is our mission to provide you with the best service, in a comfortable environment, to promote and encourage the healing and health of your body, mind, and spirit. Audrey Ventura, formerly Audrey Woodard, is a New York State Licensed Massage Therapist and a Nationally Certified Medical Massage Therapist for 20 years. She is also a Certified Yoga Therapist through the International Association of Yoga Therapists, a Phoenix Rising Yoga Therapist, and certified in Yoga for the Low Back. Audrey's specific certifications include medical massage, geriatric massage, neuromuscular massage, sports massage, therapeutic stretching, neuromuscular reeducation, orthopeodic evaluation, and specific treatment for the neck, jaw, upper back, lower back, pelvis, legs, shoulders & arms. She is also certified in the Jaffe-Mellor Technique. Audrey is committed to helping you heal and maintain your health. She is continually educating herself and bringing that information into her business to give you the best results. Her great knowledge of the body and her experience give her the ability to assess and change your treatment or yoga practice whenever needed. Audrey would welcome the opportunity to earn your trust and deliver you the best service in the industry. In 2009 Audrey suffered from a tumor in the brain stem. This took her a long time to recover from and she stepped away from her mainstream practice. Audrey was the owner of Unwind with Audrey, Naturtopia, Woodhaven Massage Therapy and Cutting Edge Massage Therapy.